A total of 41 projects will be started in the first quarter, with total investment of 11.25 billion yuan ($1.7 billion). The projects are related to sectors such as new generation of information technology, intelligent manufacturing and new materials. Shenzhen Hongtao Electronic Technology Co Ltd (SHETCL), a renowned domestic LCD manufacturer, will invest 1 billion yuan to build a manufacturing base of display screens in Nantong High-tech Zone. The production base will mainly produce small-and-medium-sized screen modules. The company will also establish an optoelectronic research institute in the future, which will help conduct research on the improvement of production technologies and advanced technologies, according to Chen Xiwu, CEO of SHETCL. The taxable amount is expected to reach 1 billion yuan after the production line is completed. 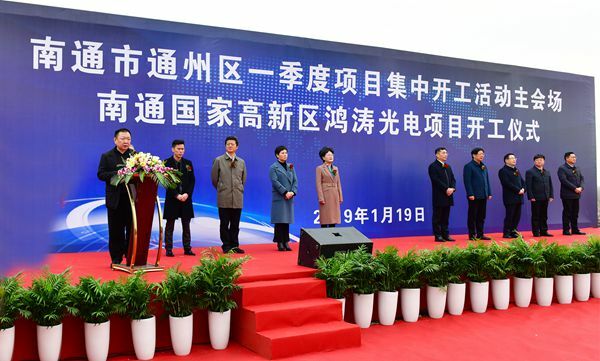 Chen Yonghong, secretary of the District Committee of Tongzhou, expressed his congratulations to the launch of the new projects. 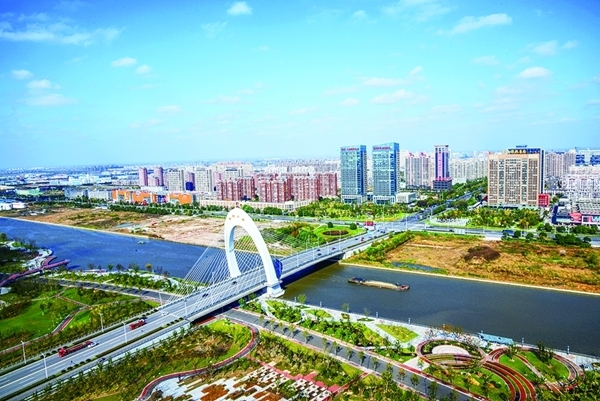 “Tongzhou district has always attached great importance to the projects construction, an important backup for economic development,” Chen said. “The building of a manufacturing base by SHETCL is of great significance for the development of the new generation of electronic information industry,” he said. Chen also expressed his hopes that all departments can make further efforts to enhance their service so as to solve all kinds of problems in the projects timely and efficiently.